1984: Launched as BALDER BRE. 1985: Delivered to Augustsson, Parley & Co, Sandvika, Norway. 1986: Sold to Navrom of Romania, Galatz, Romania and renamed BAZIAS 4. Services in the Mediterranean. 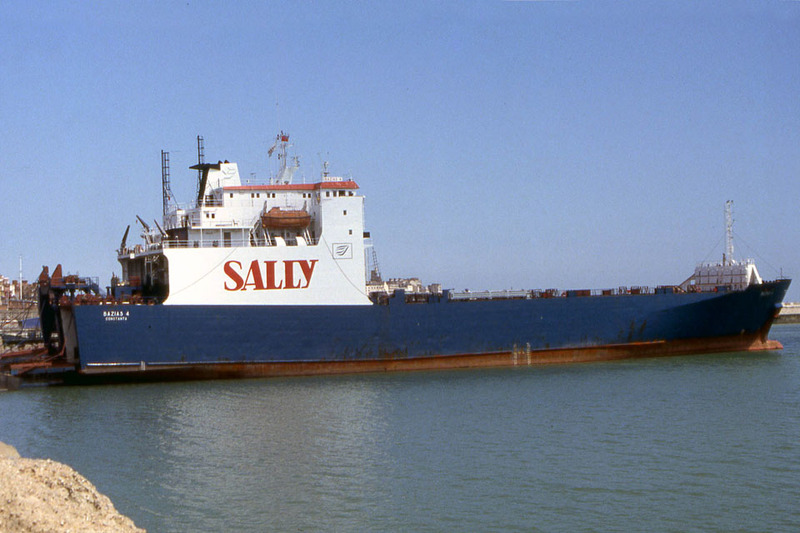 1991: Chartered to Sally Ferries for services between Ramsgate – Ostend. 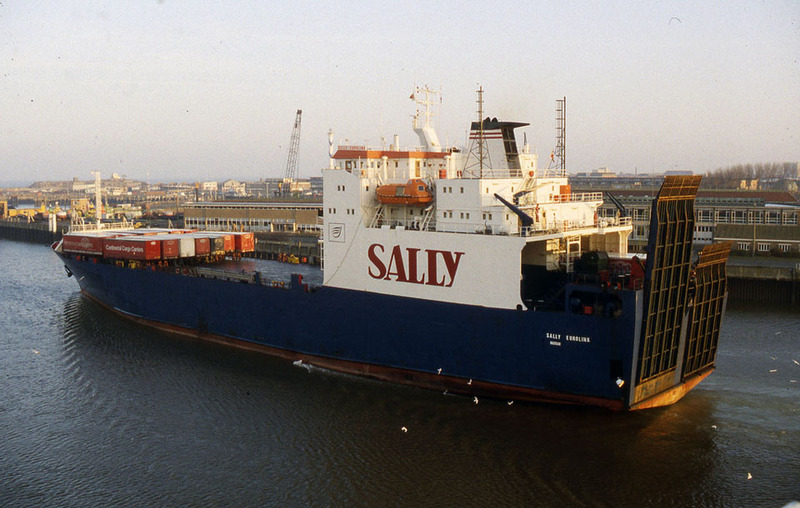 October 12th 1993: Renamed SALLY EUROLINK. March 1997: Sold to Jacob Holdings Plc, Nassau, Bahamas. April 17th 1997: Chartered to Dart Line, UK and renamed DART 4. 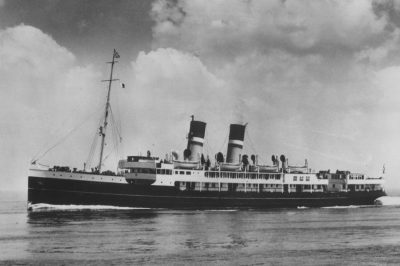 Services between Dartford – Vlissingen. August 1998: Chartered to Belfast Freight Ferries, Belfast for services Belfast – Heysham. 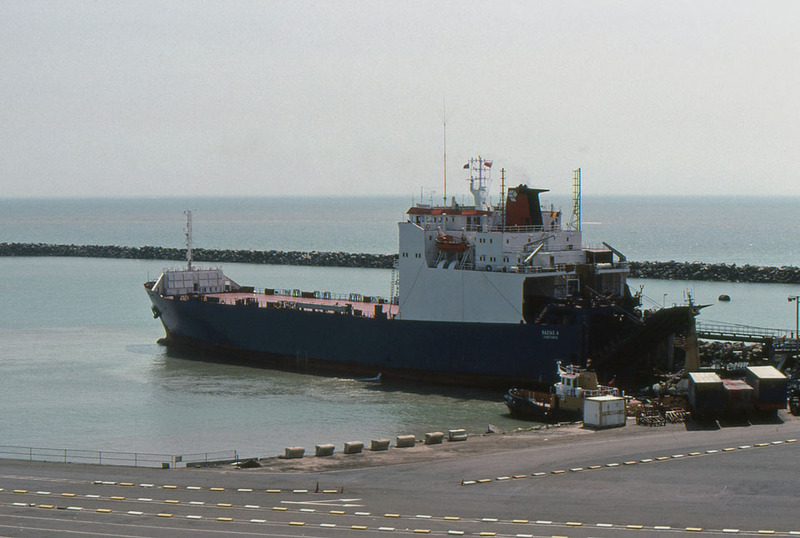 September 1999: Services between Dartford – Zeebrugge. 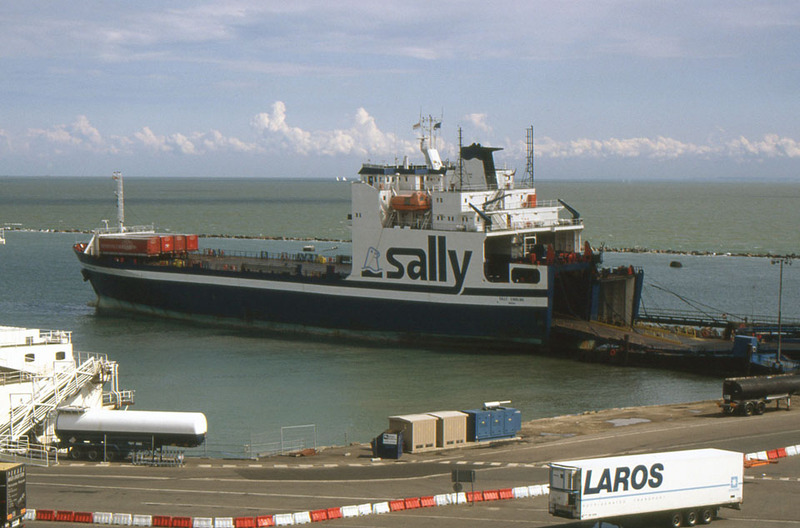 October 1999: Services between Dartford – Vlissingen. 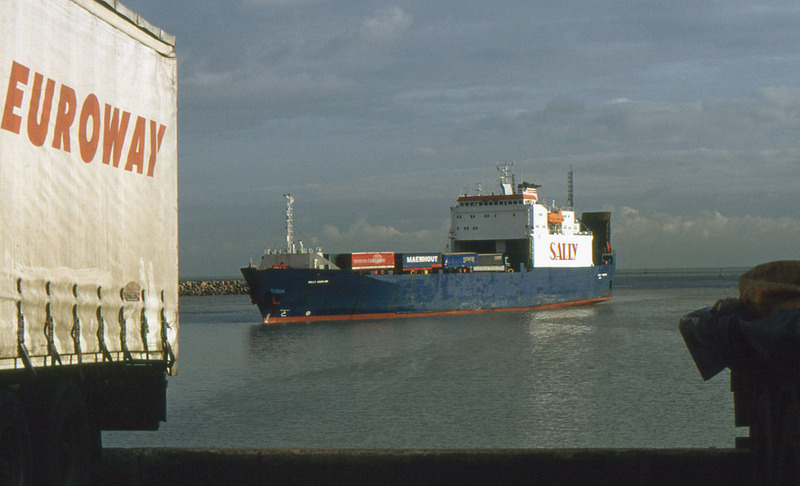 2002: Services between Dartford – Zeebrugge. 2003: Services between Dartford – Vlissingen. August 2003 – September 2003: Rebuilt. 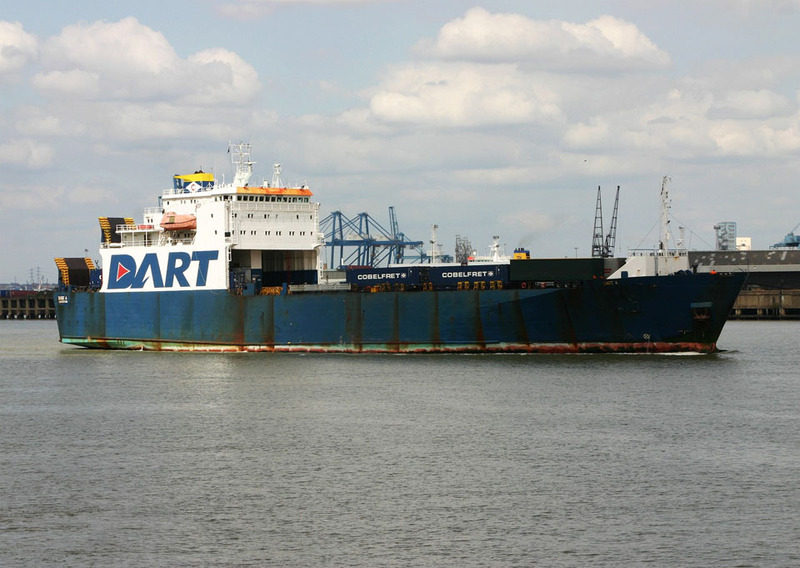 December 10th 2006: Chartered to DFDS Tor Line for a trip from Dartford to Antwerp. 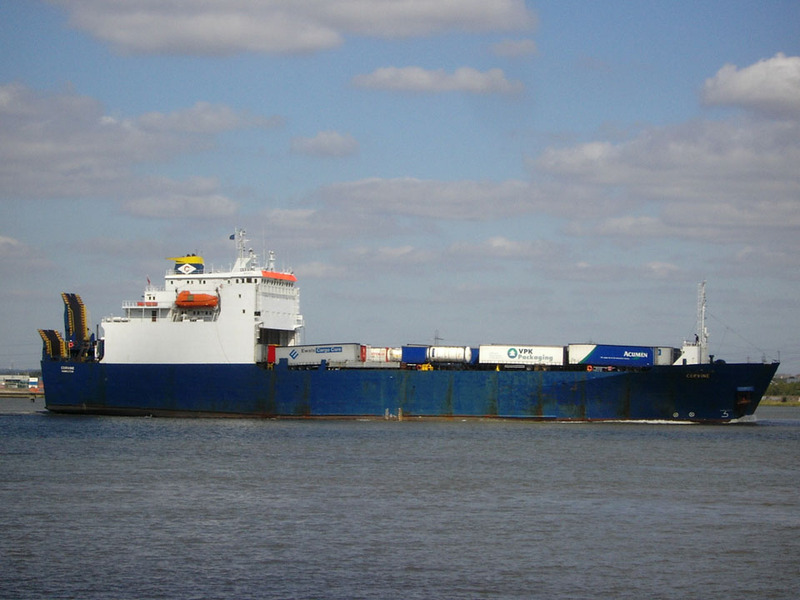 October 2007: Chartered to DFDS Tor Line for a new route between Immingham – Cuxhaven. November 1st 2007 – December 2007: Services between Cuxhaven – Immingham. 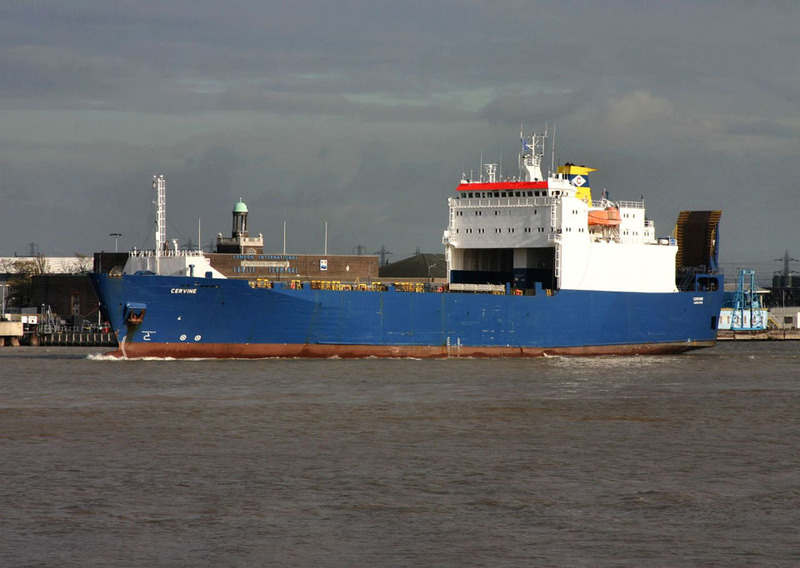 December 2007: Services for Roroco NV/ Cobelfret between Ostend – Killingholme. 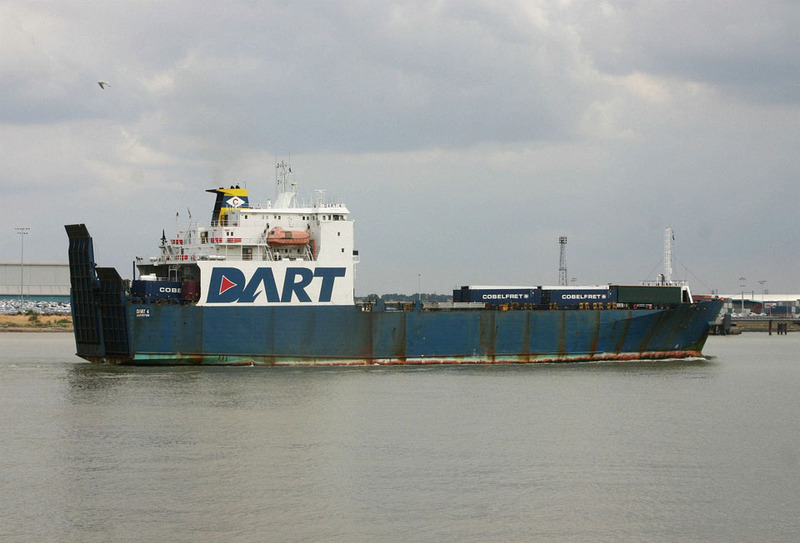 February 2008: Services for Dart Lines/ Cobelfret between Zeebrügge – Dartford. March 2008: Services between Zeebrügge – Purfleet. April 14th 2008: Services between Ostend – Dartford. June 15th 2008: Left Dartford for Zeebrügge. June 16th 2008: Charter trip to Santander then returned to Vlissingen-Ostend. June 21st 2008: Services between Ostend – Dartford. October 2008: Services between Rotterdam – Ipswich. 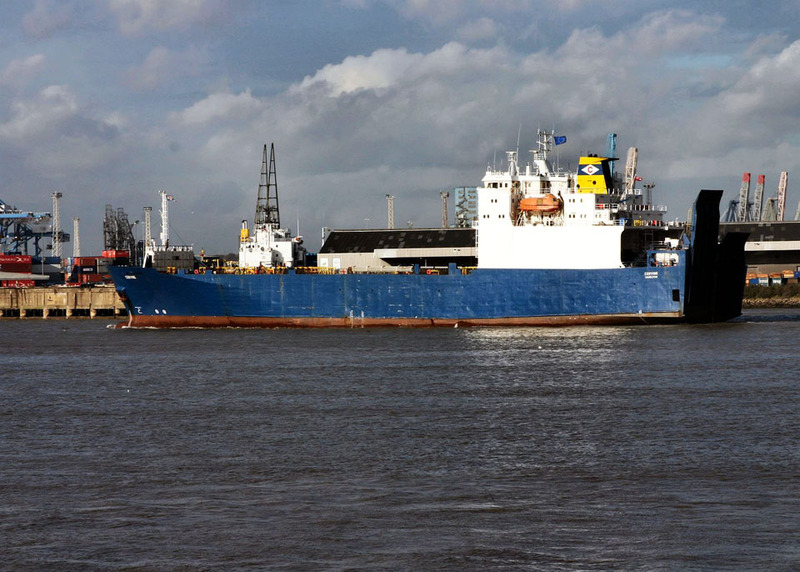 October 24th 2010 – February 5th 2010: Services between Zeebrügge – Purfleet. February 8th 2010: Commences services between Rotterdam – Ipswich. 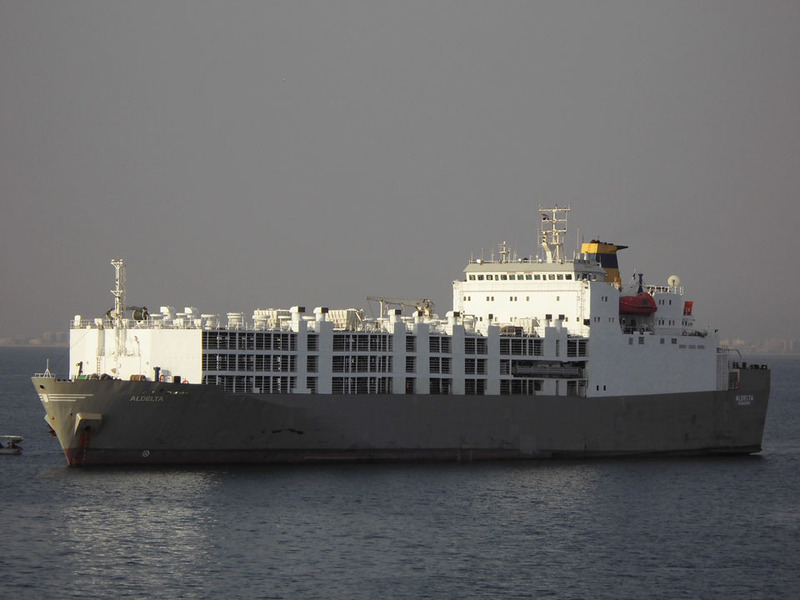 April 2011: Sold to Aldelta for Trading Meat & Cattle Co, Ltd, Panama and converted to a livestock carrier. Renamed ALDELTA with Registered Owner as Al-Bank- Al Ahli Al Urdoni Plc. April 13th 2011 – April 24th 2011: Left Rotterdam for Tuzla Turkey. Last known to be operating in the Red Sea. All information is believed to be correct and no responsibility is accepted for any errors or omissions. All items included in this article are subject to © copyright. We would like to take this opportunity of thanking: Ted Ingham, Ken Larwood, Simonwp, Andreas Schlatterer, Ken Smith and Andreas Wörteler for their assistance in producing this feature.